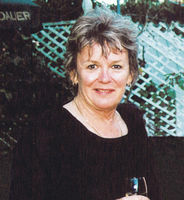 Napier’s Sacred Heart College is mourning the death of one of its beloved teachers, Trish Carthew. She was to be buried on Saturday May 28 at St Patrick’s Church. Mrs Carthew taught English and religious education at Sacred Heart for 22 years. Her great faith and generous spirit have touched many students’ hearts as well as their families and staff over the years. She will be missed. We offer our prayers and love to her family and friends as they celebrate the life of a very special person.